This page contains some guidelines when you encounter a problem with one of the Xena test applications, such as ValkyrieManager, Valkyrie2544, Valkyrie1564, Valkyrie3918 or Valkyrie2889 and want to obtain help from your support representative. This section explain how you should report a problem to your support representative. A description of what you are trying to do with the software. If the software misbehaved please describe what you actually encountered and you expected instead. Screenshots of any error situation. The test configuration file for the application (contained in the support archive). Any debug log files for the application (contained in the support archive). 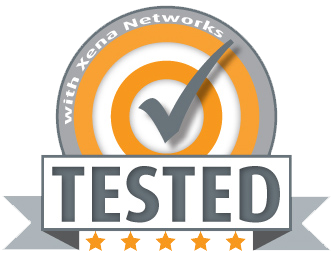 The Xena test applications include a menu entry called Create Support Information Archive which will create a compressed ZIP archive containing both the currently loaded configuration file and the content of the Logs and Settings directories. This file can then be emailed to your support representative. For the Valkyrie2544 and similar test applications this menu entry is located in the Help menu. For the ValkyrieManager application it is located in the Tools ribbon menu. Please note: For the Valkyrie2544 and similar test applications it is important that the configuration file used when the problem was detected is loaded when the support archive is generated. Otherwise the configuration file will not be part of the archive. Point your mouse inside the program window. Press the <Alt-PrintScr> keys simultaneously. Switch to your email program and start a new email message. Press <Ctrl-V> or select “Paste” from the menu (most likely the “Edit” menu) to insert the screenshot into the email. This section goes into a bit more detail about the various items contained in the Xena Support Archive mentioned above. The <username> is the name of the currently logged-in user. The Xena test applications include a menu entry called Explore Xena Data Directory in the File menu that will open a Windows Explorer in the correct directory, regardless of the Windows version. The Xena test applications logs certain events and errors to a series of debug log file located in the Logs subdirectory under the above mentioned main application data directory. If you encounter errors it may help the support if you include these files in your support request.